Fifteen seconds is short for an ad, never mind a film. 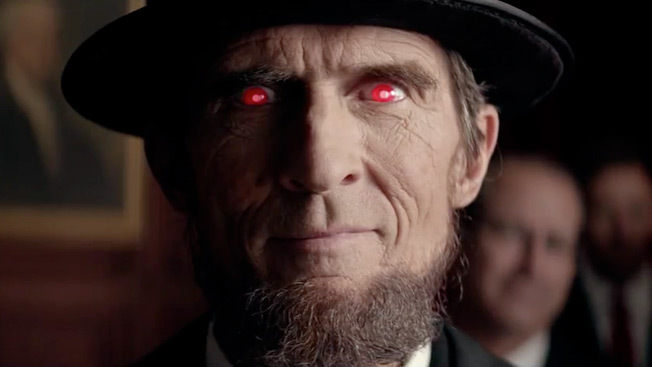 But Heineken and Wieden + Kennedy New York premiered just such a movie at the Tribeca Film Festival on Wednesday night—based on a fan's tweet about an evil Abraham Lincoln clone. "They clone Abe Lincoln's DNA and name the clone president for life … except there's one problem: the clone is evil," Dennis Lazar, aka @awsommovieideas, wrote as his winning submission to the brewer's #15secondpremiere contest, which asked for fans' wildest movie ideas. Those 115 characters (he had to leave room for the hashtag) were then crafted by a Hollywood film crew into 15 seconds of film—called Linclone. You can check out the mini-movie below. The credits take way longer than the film itself—luckily there are some outtakes to keep things interesting. Lazar was flown to New York and given the green carpet treatment by the Tribeca sponsor at the festival. Guests included Robert De Niro himself, who really should have played Lincoln if we're being honest.